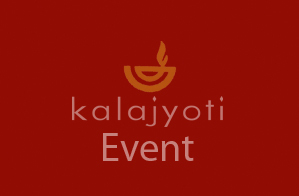 Kalajyoti believes that Intense residential workshops under revered Gurus with a theme or concept can certainly stimulate and nourish the creative quest of the disciples. Yearly workshop is organized in the last week of December conducted by visiting Gurus in the field of Odissi Dance, Classical Vocal, Mardala, Folk Dance, Abhinaya,understanding Sanskrit text in relation to Geet Givindam and Slokas. Group 2 – Age Group from 16 to no upper limit. Intense instructional sessions in the technical aspects, abhinaya, traditional compositions and those composed by Guru Monalisa Ghosh. New compositions created for Dance productions based on thematic concepts and research-based compositions aimed at revival of lost traditions. In the past few years, compositions on works of great saint-poets, Sanskrit poets, poets of oriya, Tagore, Michael Madhusudhan Dutt, etc. have been taught to senior disciples. 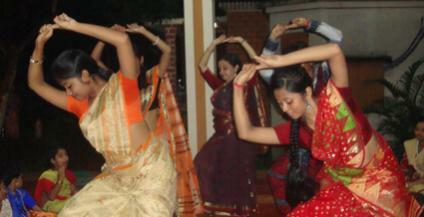 Intense study of compositions of Mardala also are conducted that is incorporated in the training modules of the Odissi dance form.